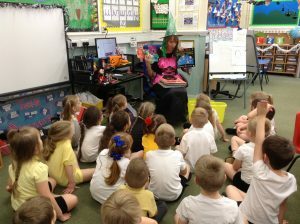 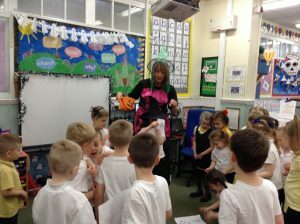 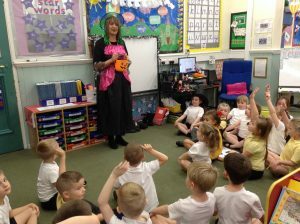 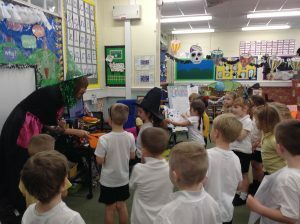 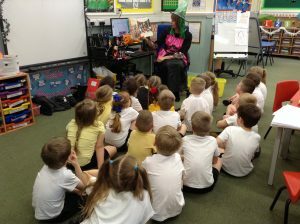 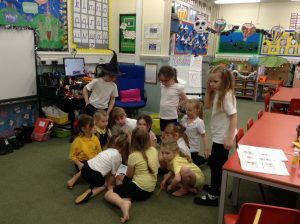 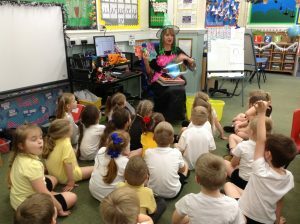 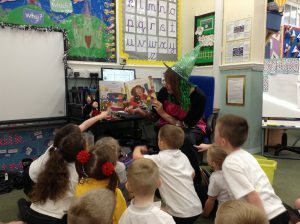 Today Maria from Gateshead Library visited Year One with a “Ghosts and Witches” themed story chest for our reading area. 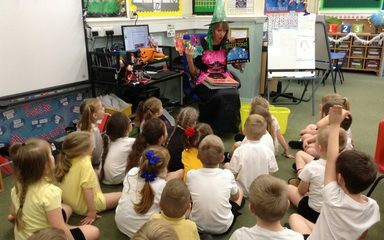 While Maria was here she shared a selection of books from the chest with the children, a particular favourite amongst them being “There’s a Spider in this Book!” by Claire Freedman. 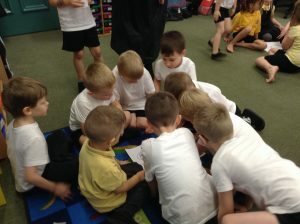 The children even played a game of Halloween Bingo (the boys one)! 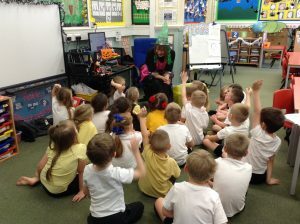 The children thoroughly enjoyed Maria’s visit and are already looking forward to the special Christmas themed activities that she has planned for when she next visits.